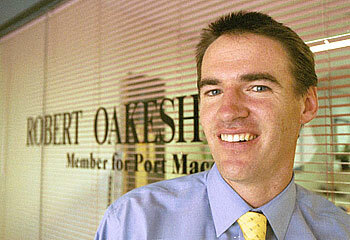 Rob Oakeshott’s plan for a mix and match government is far more clever than people give him credit for. the joker in the pack? It recognises that there is no rule that determines the way parliament works, and strategically assumes that the governing conventions can be swept away. “Naivety” is powerful, as this blog discussed way back at its inception. The opposite of “naivety” is unshakeable belief in the endurance of the status quo. Oakeshott no doubt recognises the power of the conventions, but knows the best way to fight them is to deny their power. Will he win? Let’s look at who has a stake in their continuation. 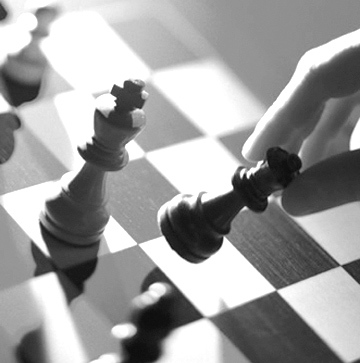 The main political parties are like chess players, looking ahead. They can choose their own destiny if they are smart, because they still hold crucial pieces, including the power to offer ministerial positions, to debase their policy platforms to benefit the independents, and to cause another election to be called by not giving in to the independents. They will be unwilling to enter any situation from which they can’t see a beneficial exit strategy. Will it deliver them electoral benefit the next time Australia goes to the polls? A cabinet with, say, one Labor member in a coalition cabinet is likely to hurt all parties. I don’t see how a member of another political party can attend cabinet meetings, which are supposed to be frank and open, without reporting back to his party-colleagues in opposition. It will either undermine the government or emasculate the opposition, neither of which deliver benefits . I also don’t see how a party that was two parts Labor to two parts Liberal would allow either side to perceive a chance of developing an electoral benefit before the next election. Political parties are neither risk-loving nor very imaginative. (as we saw in the campaigns). They’d rather go back to the polls. So I suspect Oakeshott’s unity government plan will be shelved in favour of a minority government / slim majority government. What is needed is a situation where one party perceives an electoral benefit from governing, and there are at least 76 people (preferably more) who convincingly agree not to back a motion of no confidence in the government. These people don’t have to be “in government” as you can govern with a minority, but they have to agree to not bring the government down. It looks as though that’s possible without sweeping away the conventions that the major political parties depend on for their power. That means, you need to add four independents to your 72 Labor MPs. The A team would be Bandt, Wilkie, Windsor and Oakeshott. But Labor can’t get Windsor, so they say, so they would need Katter. The alternative government is 73 Coaliton MPs, plus Windsor, Oakeshott and Katter. Katter is the last MP you’d choose to have on your team, but in each scenario he’s the final piece they need. The independents have power because they represent the marginal votes needed. The most marginal of the independents has the most power. It seems Katter holds they key to the election. Is he mad? Maybe. But it’s more likely he just experiences extremely bounded rationality. Katter apparently makes up his mind based on partial information and then sticks to it. So if you can make a deal he likes, he might stick with you through thick and thin. Making a government with Katter is going to be tricky. If and when Katter snaps, Australia will be back to the polls. Whomever formed a government with him in their team will be made to look bad for the pandering they tried to keep him on board, and then look even worse when he finally cracks. I hope the major political parties look far enough ahead to avoid the doomed chalice that is a Katter-dependent government. So perhaps Oakeshott is the smartest chess player of all. Maybe he recognises that the most marginal MP is the most powerful, so he is calling for the most difficult outcome. That way he becomes the final piece of the puzzle, and becomes the most powerful independent. Previous Previous post: Who likes maps? Next Next post: Hate the Porsche Cayenne? You’ll feel sick when you hear about the Lamborghini SUV.